The Winix 5300 is arguably the best value-buy on the market; the device offers unmatched performance for the price, can handle medium-large rooms, and is energy efficient and quiet. Plus, the unit will likely last for years. The 5300’s relative weakness is that it can struggle against heavy odors. I’ve just come off reviewing the Winix WAC9500 – a device I quite liked – and now I’m going to review its less expensive counterpart, the Winix 5300. And you know what? Despite being close to $100 cheaper, I think I like the 5300 more. Let’s explore the reasons why. The Winix 5300 is the Honda Civic of air purifiers: the device isn’t flashy or packed with high-end features; but it’s affordable, durable, and does its job extremely well. I want to get a big concern out of the way up front. These devices are built in Korea, and so many people are likely concerned about manufacturing defects. And, to be perfectly honest, in these situations there’s always the small risk that you’ll get a unit with a defect. If that happens, Winix will happily replace the unit for you; the 5300 carries a one-year warranty. With that out of the way, let’s talk about performance. 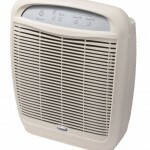 The Winix 5300 is one of the most powerful “budget-buy” air purifiers you’ll ever find. It’s very difficult to find a purifier for under $200 that is capable of purifying large rooms efficiently and effectively. But that’s exactly what the Winix 5300 delivers. With a coverage area of 350 square feet, the 5300 is great for all the medium-large sized rooms in your house. I think the manufacturer overstates the optimal coverage area just a bit – for example, the unit has trouble auto-detecting pollutants in larger rooms – but even still, the device’s performance holds up very well in most big rooms. 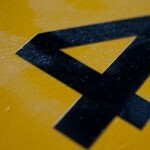 As you probably know, there are some major pitfalls with CADR ratings. But in this case, the ratings reflect the reality: the Winix 5300 is well rounded and very powerful against a variety of pollutants – although decidedly least effective against odors, relative to its performance against other pollutants. Other Ionizer type air cleaners produce ions to attach to pollutants so they fall to the floor or stick to walls and furniture and then need to get vacuumed. PlasmaWave however doesn’t merely weigh down the particles – it breaks apart odor, allergens, chemical vapors and other pollutants at the molecular level without producing any harmful ozone. It’s a neat technology that eliminates a big drawback to the ionization process: ozone emission. Now, don’t be fooled: the PlasmaWave process likely still emits incredibly small amounts of ozone. But it’s not something you should worry about. With dimensions of 19 x 9.8 x 24 inches, this unit is a bit bulky. You won’t be able to stick it in a corner of your small bedroom to hide it, but the good news is the unit isn’t an eyesore. It has a pretty sleek, modern design and an intelligent control panel. 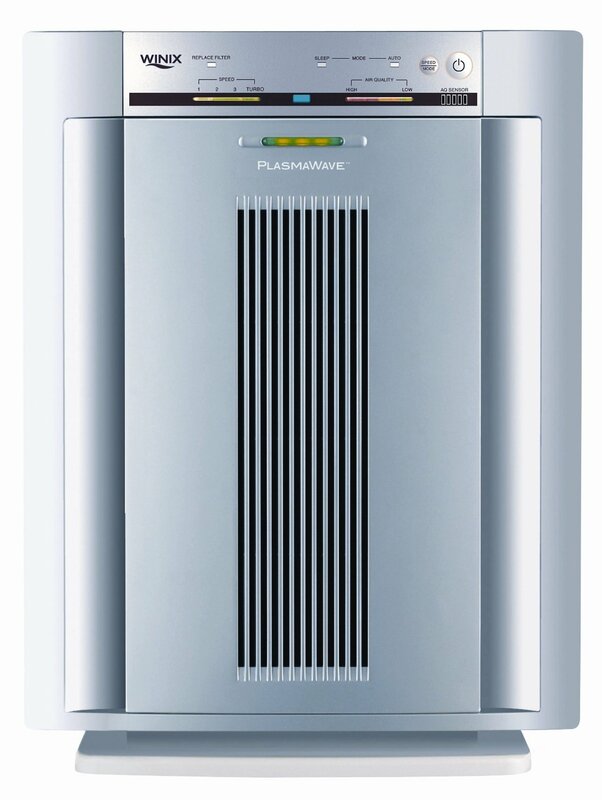 The Winix 5300 is exceptionally energy efficient and is Energy Star certified. According to Energy Star, the device draws 60 watts – a number which will be much lower (7-10 watts) when running on lower settings, and higher (90 watts) when running on the “turbo” setting. As for noise, the unit is extremely quiet given how powerful it is, even on its highest setting. Don’t expect “whisper quiet” on anything but the lowest fan speed; but relative to performance, this device works very quietly. Some consumers have complained about a strange “squealing” noise that results from the PlasmaWave process. I’ve not encountered the problem, but this could be a case of manufacturer defect – which, unfortunately, is probably not covered by the warranty. This is something to think about. Overall, I’d recommend the Winix 5300 over the Winix WAC9500 because of the value and performance it offers, although I like both units quite a bit. The Winix 5300 is arguably the best value-buy on the market; the device offers unmatched performance for the price, can handle medium-large rooms, and is energy efficient and quiet. Plus, the unit will likely last for years. The 5300’s relative weakness is that it can struggle against heavy odors.